There are nearly a dozen films on the shorts program; some about snowsports, yes, but there are several artsy, animated shorts, a film about pets and international films. Jennifer Rieber, the director of music and cultural development for the X Games, curated the lineup. She says she didn’t want to only feature action sports, but also thoughtful, entertaining films. "Something you’d bring your 6-year-old to when you just wanted to get out of the hoi polloi for a minute with the crowds, and you just wanted to go watch something," she said. Rieber says the X Games is using events like the film program to connect with a wide range of interests and ages. "The X games has been around long enough where you know we have people that grew up with it as kids, who now have kids, who they're bringing to the X Games," she said. 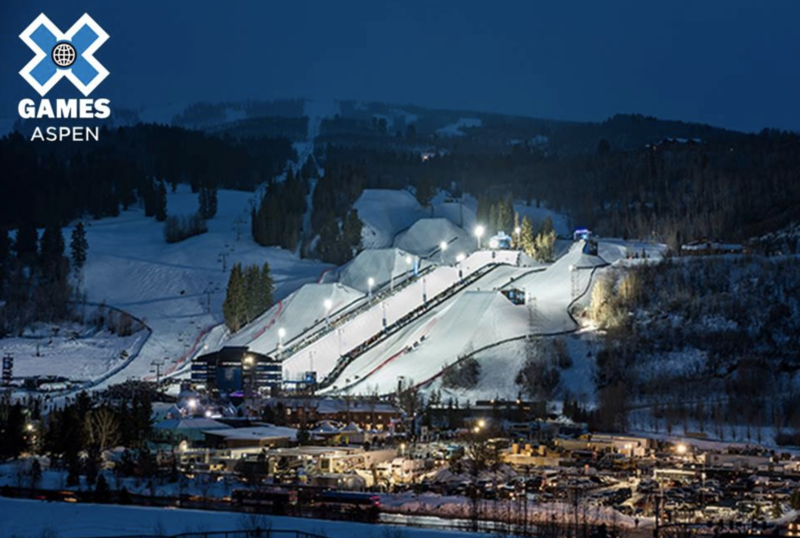 The X Games has evolved to include cultural events alongside the competitions. Rieber says they’ve found success with their live music, for example, and now they’re looking to dip their toe in new areas. "Screening films and also TED talks, I think those are things you’ll see us put our back into and funding into and really build up," said Rieber. The short film program begins at 12:30 p.m. on Saturday afternoon in the Diamond Club tent at Buttermilk.